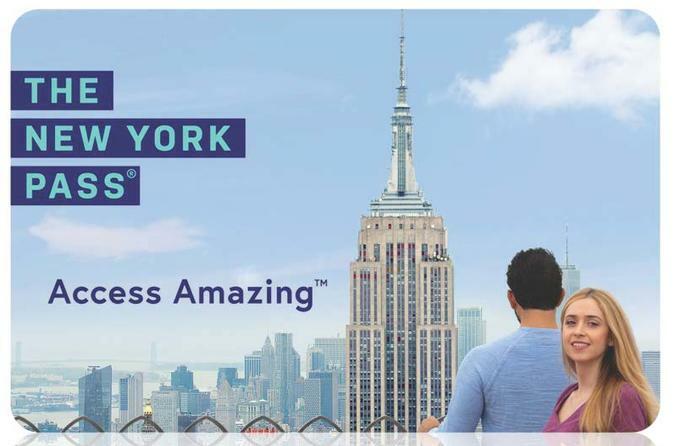 Your New York adventure just got easier, and less expensive, with the sightseeing card that offers access to more than 90 things to do, including the city’s most iconic activities and attractions; many with skip-the-line access. With fast-track access at many museums and locations and an informative guidebook to help you plan your itinerary, the New York Pass lets you spend more time exploring, instead of wasting your precious New York minutes in line. The New York pass is a pass you can use on your mobile device. Simply tap or show the code on your device at each attraction for entrance. Your pass is activated when you visit your first attraction, and then it's valid for the number of calendar days you select. There's no limit to the number of attractions you can visit during that time frame, so you can see as many sites as you can fit in—racking up serious savings along the way. Don't want to pack your days too full? Just visiting an average of 3 attractions daily can save you up to US $70 each day that you put the pass to use, and the total value of all included attractions exceeds US $2,000. You can visit as many attractions as you like, on consecutive days, during the duration of the pass, packing in 5 or 50 depending on your schedule and interests. The New York Pass lets you access more than 90 great Big Apple sites. The regular price of admission is listed for your information. Special Offer - Book with us and save 4% compared to another travel site! - Book Now!